When it comes to putting lotions or creams around or near your eyes, it only makes sense to use a safe, organic and natural treatment for dark circles. 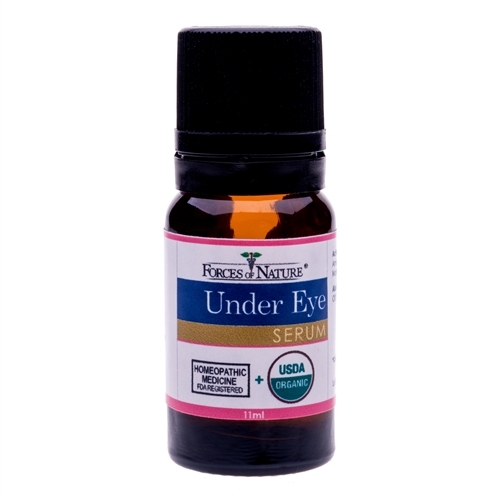 Under Eye Serum from Forces of Nature, a USDA certified organic treatment to lighten and remove dark circles while improving skin tone, offers just that and more. With a powerful combination of homeopathic, natural ingredients that are designed to reduce swelling and dark circles and improve the skin’s vitality, Under Eye Serum runs circles around other eye creams. 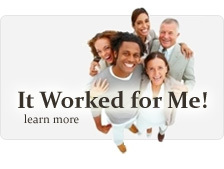 Made in an FDA-registered facility by a team of natural medicine experts, including a naturopathic doctor and a staff biologist who specializes in plant medicine, Under Eye Serum comes with the Forces of Nature money-back guarantee. Results are guaranteed. Forces of Nature’s mission is to provide innovative natural medicines which deliver results to bring healing to the world. The company focuses on sourcing the best organic ingredients to treat dark circles, skin tags, stretch marks and more, offering safe, natural and effective skin care. Dark circles under the eyes don’t have to be a permanent feature on your face. 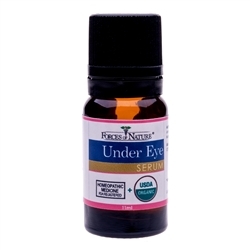 Under Eye Serum offers relief from dark circles and puffiness with its safe and effective formula for the skin. Forces of Nature’s mission is to provide innovative natural medicines which deliver results to bring healing to the world. Like all of Forces of Nature’s organic products, Under Eye Serum comes backed by a one-year, money-back guarantee. Apply to affected area by gently rubbing into the skin up to 3 times daily.